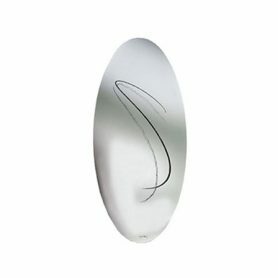 Le Miroir “S” by Cassina is a mirror similar to Les Grands Transparents on which is reproduced the “S” by Simon designed by Man Ray. Essential shape and extremely elegant design, it is the ideal accessory to furnish your home with modern or minimal style. Cassina is a brand of Made in Italy furniture worldwide famous. 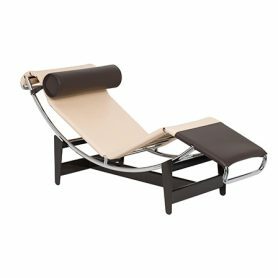 LC4 by Cassina in leather version is a chaise longue designed by Le Corbusier, Charlotte Perriand and Pierre Jeanneret. It is a true “relaxing machine”, an undisputed icon that has marked the history of Italian design. It has a simple and sinuous shape and an extremely comfortable and ergonomic seat. 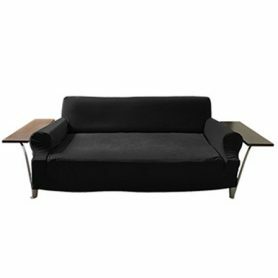 Cassina is an Italian company founded in Meda in 1927 by the brothers Cesare and Umberto Cassina, which produces design furniture. Leather LC1 by Cassina is an original leather armchair designed by Le Corbusier, Pierre Jeanneret, Charlotte Perriand in 1928 and producted in 1964. It is a design icon that has marked the history of Italian furniture, an exemplary model of Cassina’s functional perfection. It is suitable for any environments but is ideal for furnishing with vintage style. Cassina is an excellence of Made in Italy design that produces high quality furniture. 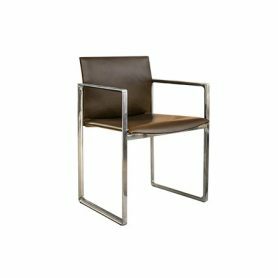 Eve by Cassina is a chair designed by Piero Lissoni. Eve is a chair with armrests from perfect geometries. Versatile, can be inserted in different contexts, from private to contract and never disappoint the expectations. Cassina is a world famous brand that produces Made in Italy design furniture. 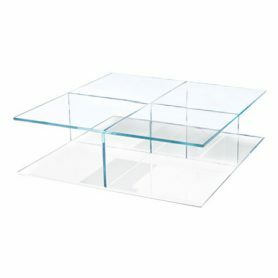 Mex 269 (square version 72×72) by Cassina is an extremely elegant coffee table. Designed by the designer Piero Lissoni, it fits perfectly into a modern-style living room, but also in the waiting room of a studio. It is part of the Mex collection by Cassina composed of tables of different sizes that together form a square. Cassina is a world famous brand that produces Made in Italy design furniture. 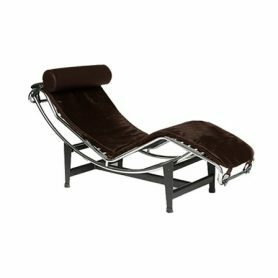 LC4 by Cassina in brown pony skin version is an original 70s chaise longue designed by Le Corbusier, Charlotte Perriand and Pierre Jeanneret. It is a real ‘relaxing machine’, an undisputed icon that has marked the history of Italian design. It has a simple and sinuous shape and an extremely comfortable and ergonomic seat. Cassina is a world famous brand that produces Made in Italy design furniture. Wink by Cassina is a reclining seat designed by Toshiyuki Kita. The armchair can be transformed into a chaise longue by tipping the base forward. The backrest is adjustable to ensure maximum ergonomics. The headrest is divided into two parts, each reclining independently. Cassina is a world famous brand that produces Made in Italy design furniture. 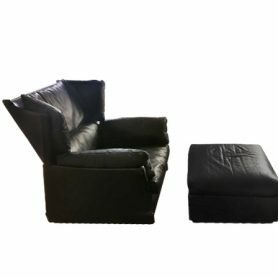 Sesann di Cassina è una poltrona originale del 1970 disegnata da Gianfranco Frattini. Si tratta di un prezioso oggetto di modernariato icona del design Made in Italy. É l’arredo dal gusto retrò perfetto per decorare la propria casa o l’ufficio in stile vintage. 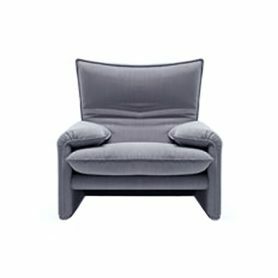 Cassina è un brand famoso a livello mondiale che produce arredamento di design Made in Italy. 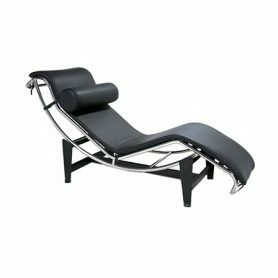 LC4 is the chaise longue designed in 1928 and made famous by Cassina as from 1965. Born from the desire of the three designers to put the man at the center of attention, thanks to the correspondence between form and function of rest. 381 Torei by Cassina is a coffee table with top in American walnut designed by the designer Luca Nichetto in 2012. 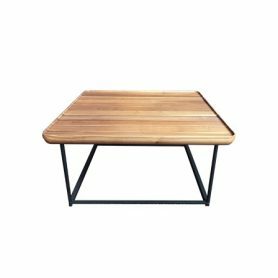 It belongs to the homonymous family of tables with different shapes and sizes that can be combined to create design furnishing sets. 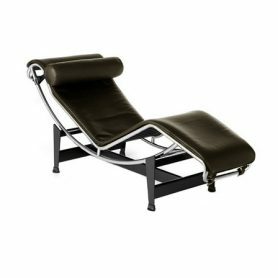 Cassina is an Italian company founded in Meda in 1927 by the brothers Cesare and Umberto Cassina, operating in the contemporary furnishing sector. 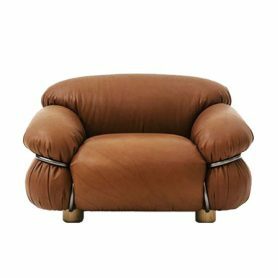 Viola Armchair by Cassina is a precious antique Made in Italy item made in 1976. The seat is extremely comfortable and the leather upholstery gives it even more elegance. It is a piece of furniture from the 70s, ideal for decorating any room with a classic or vintage style. Viola is produced by Cassina, a world-famous Italian company that produces Made in Italy design furniture since 1927. 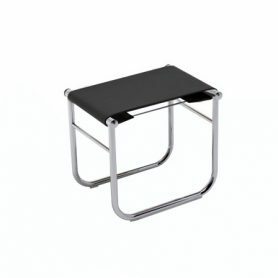 LC9 by Cassina is a bathroom stool designed by the French designer Charlotte Perriand in 1927. Elegant, comfortable and perfect to combine with any style of furniture. Cassina is an Italian company founded in Meda in 1927 by the brothers Cesare and Umberto Cassina, operating in the contemporary furnishing sector. 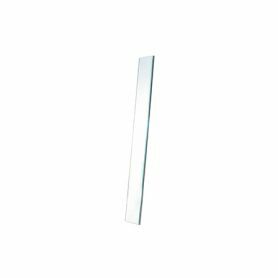 Otero by Cassina is a design wall mirror designed by Studio Simon. It is a design furnishing accessory that gives depth and brightness to any room of your home. Cassina is an Italian company that produces Made in Italy furniture since 1927. 184 Eve by Cassina is an extremely elegant armchair designed by Piero Lissoni. With an essential and geometric shape, it is light and comfortable thanks to the rounded line of the front part of the seat. 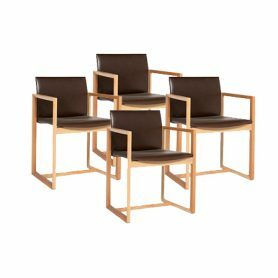 It is perfect for furnishing your home but also meeting rooms or offices. Cassina is a icon brand of Italian design that produces high quality furniture. 783 coffee tables by Cassina are original furnishing elements designed in 1966 by Gianfranco Frattini. Frattini is a designer specializing in interior design and among the founders of ADI (Association for Industrial Design). These precious design items are ideal for decorating your home or office. Cassina is an Italian brand that produces furniture design since 1927. 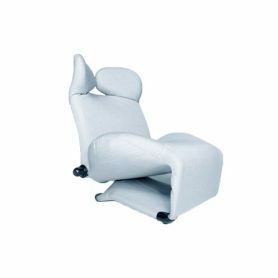 675 Maralunga Armchair is an elegant design seat in fabric designed by Vico Magistretti and winner of the Compasso d’Oro in 1979. 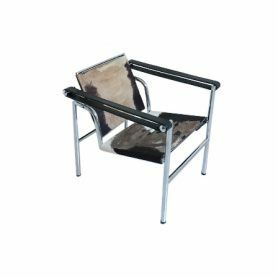 Comfortable and versatile, it has a tilting headrest to obtain a high or low backrest. Cassina is an Italian brand that produces design furniture. 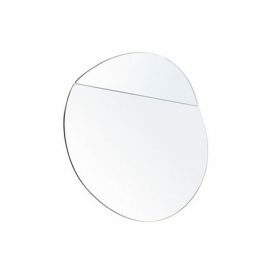 Iseo by Cassina is an original mirror with a simple but elegant shape designed by Hiroyuki Toyoda for Simon by Cassina. It is a unique piece of furniture divided into two parts, one inclined to obtain a different perspective. Cassina is an Italian company that produces Made in Italy design furniture since 1927. 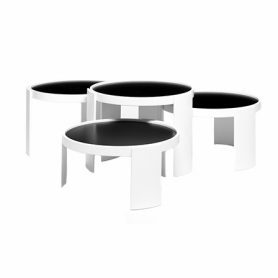 519 Petalo coffee tables by Cassina are coffee tables colored with an original shape and elegant design. 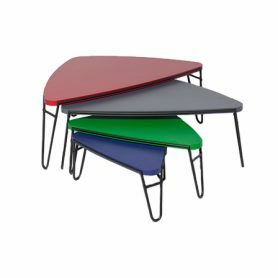 They were designed by the famous French designer Charlotte Perriand, historical collaborator of Le Corbusier and Pierre Jeanneret. These creative design furnishings can be combined to decorate your home with style. Cassina is an Italian brand that produces Made in Italy furniture since 1927. 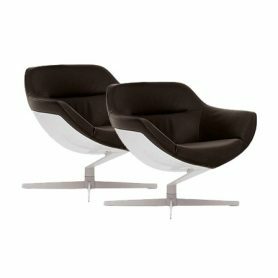 277 Auckland by Cassina is an elegant and comfortable swivel armchair designed by Jean-Marie Massaud, a famous French designer and architect. The padding protected from the white body makes the armchair extremely comfortable and perfect for furnishing your office. Cassina is a Made in Italy company that combines the excellent craftsmanship of the artisans to industrial production to create quality products now famous all over the world.